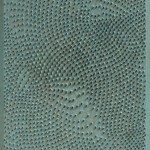 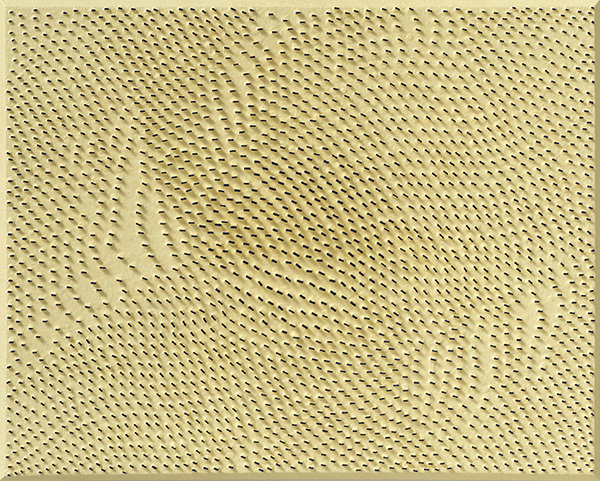 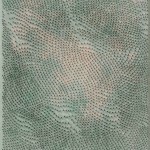 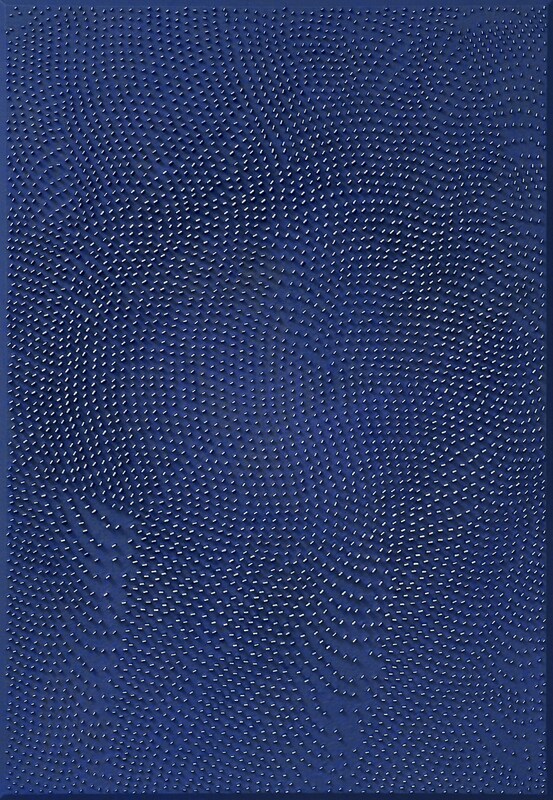 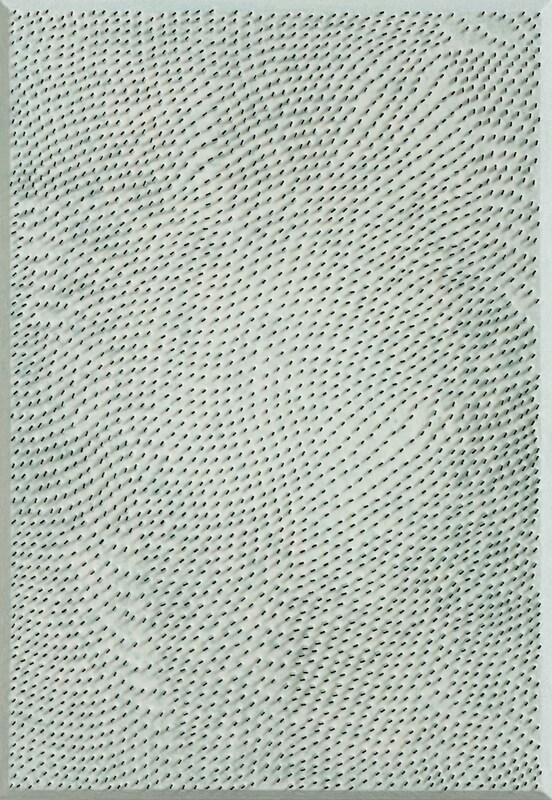 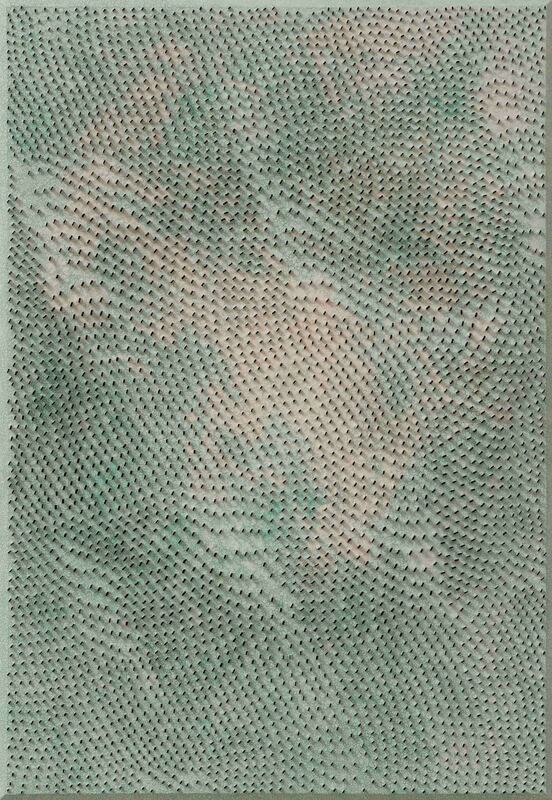 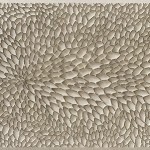 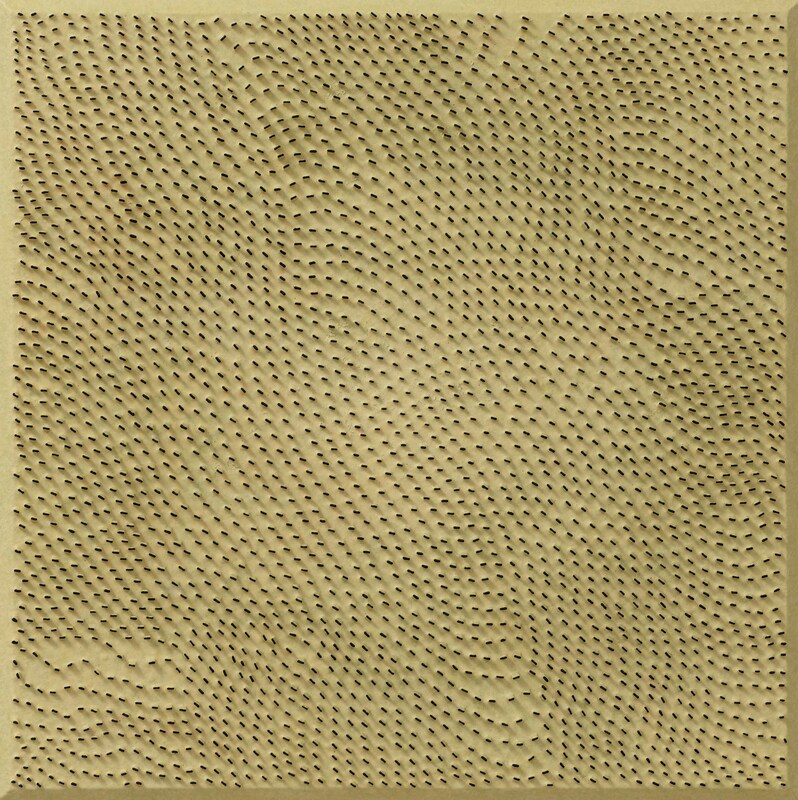 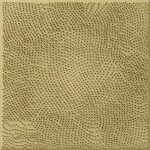 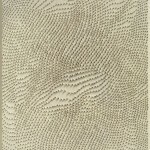 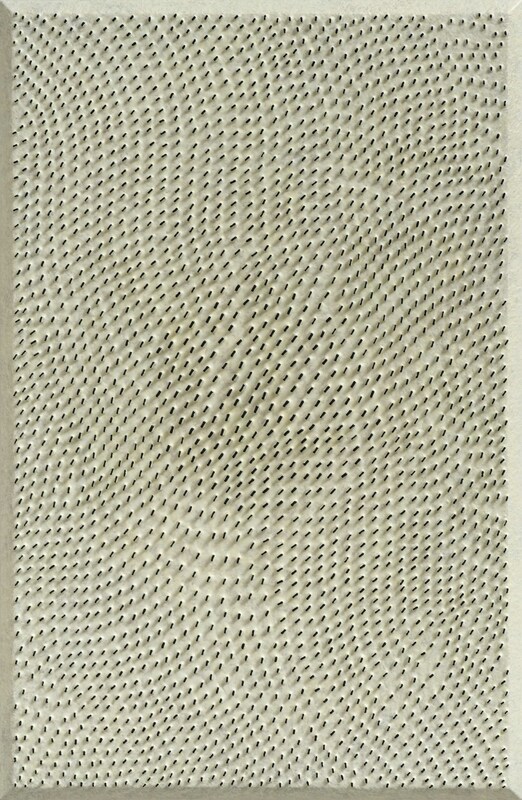 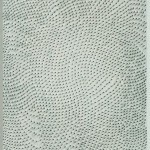 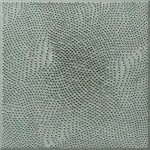 Mizuma Gallery is pleased to announce Code of Lines, a solo exhibition by South Korean artist Kim Chanil. 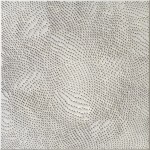 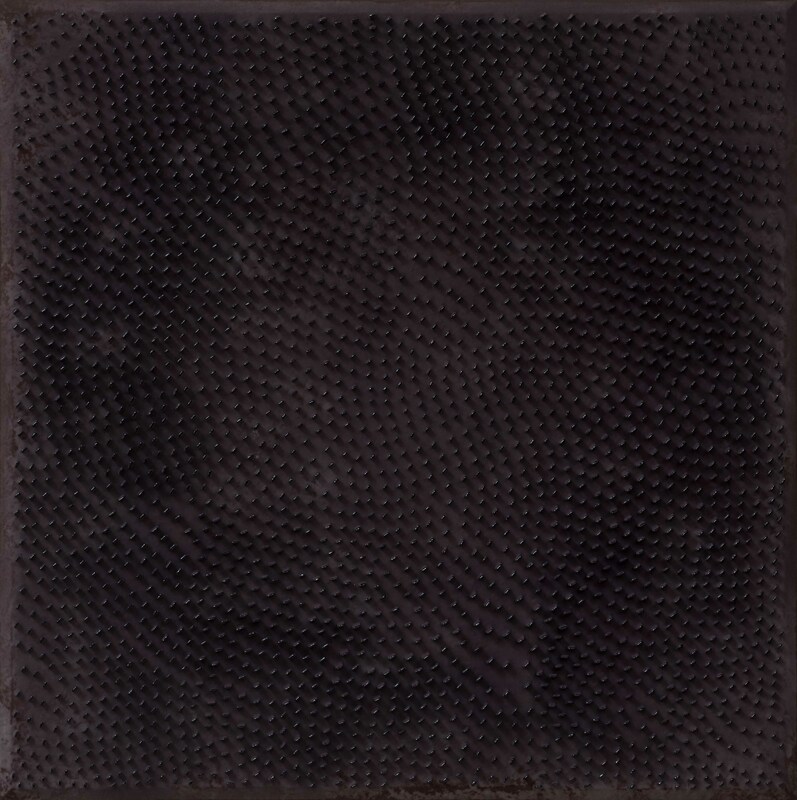 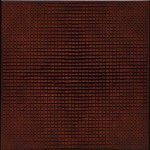 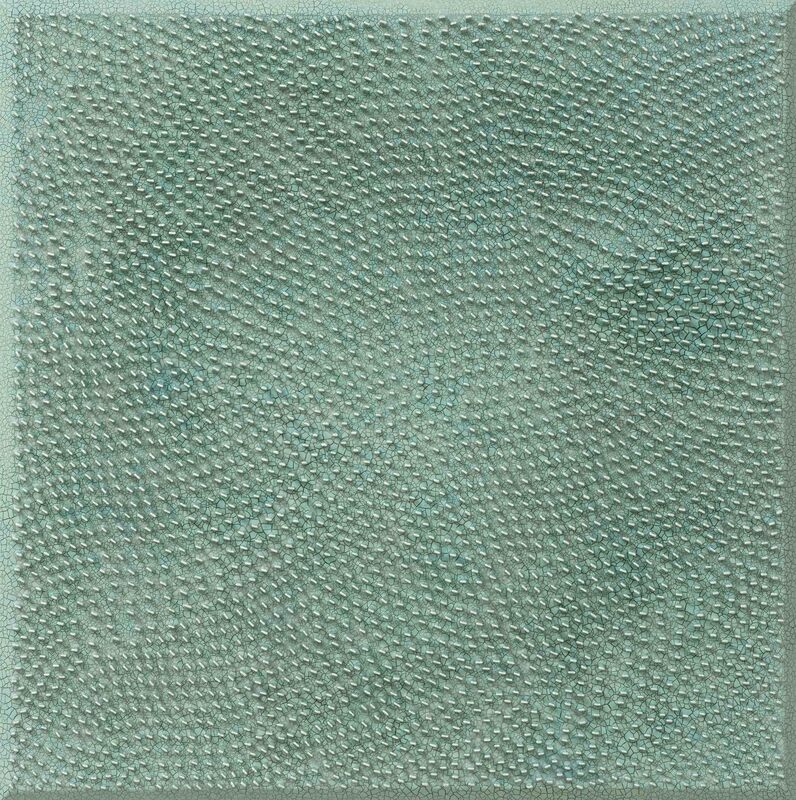 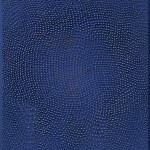 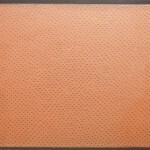 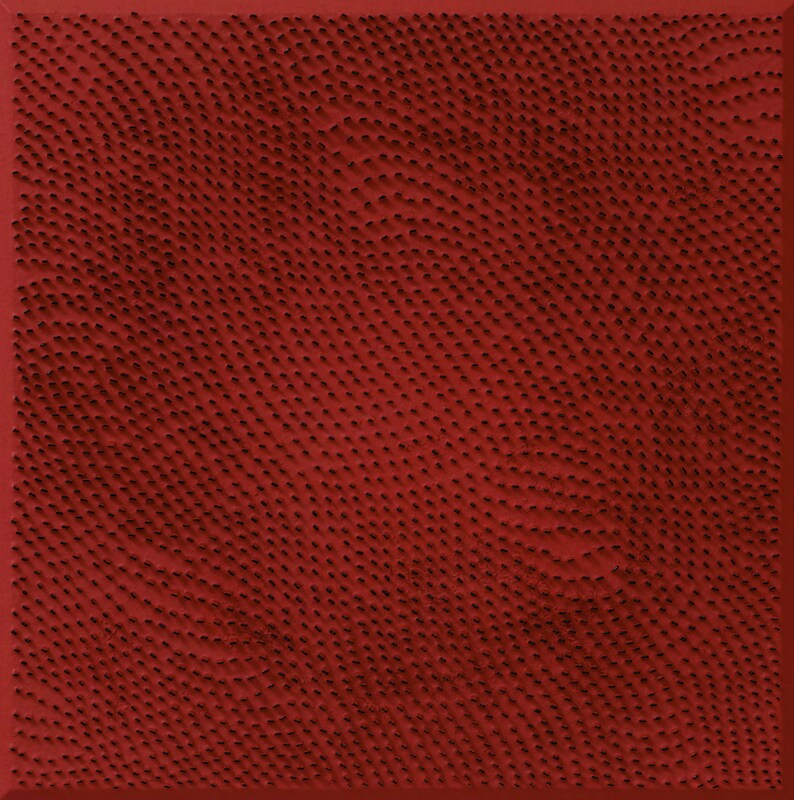 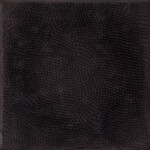 Highly influenced by the Dansaekhwa painters of South Korea, Kim Chanil is known for his monochromatic works that distinctively transcend the two-dimensional space of a flat plane canvas. 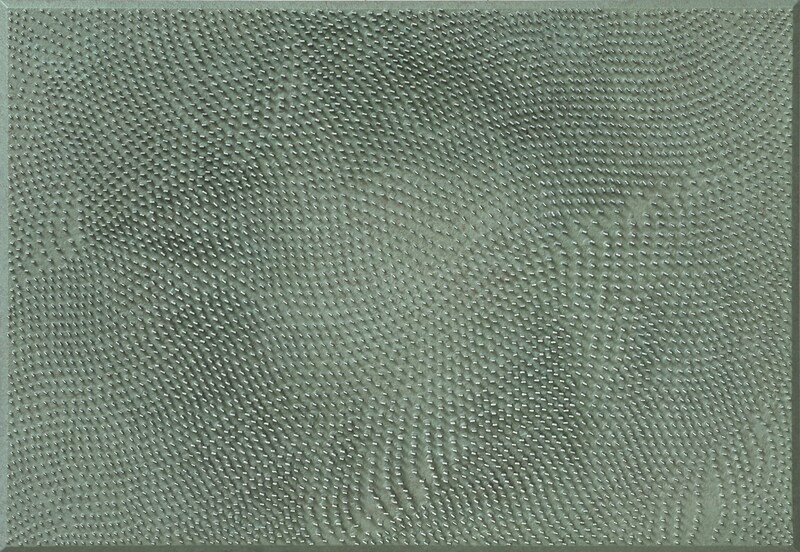 His style of incorporating various materials such as paper and rivets onto his paintings creates irregular contours and illusionary forms. 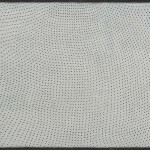 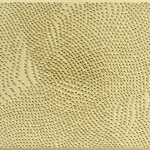 Kim’s paintings are known to evoke a sense of tranquility and, through the rhythmic waves of lines and dots, stimulate the viewer’s senses of sight and touch. 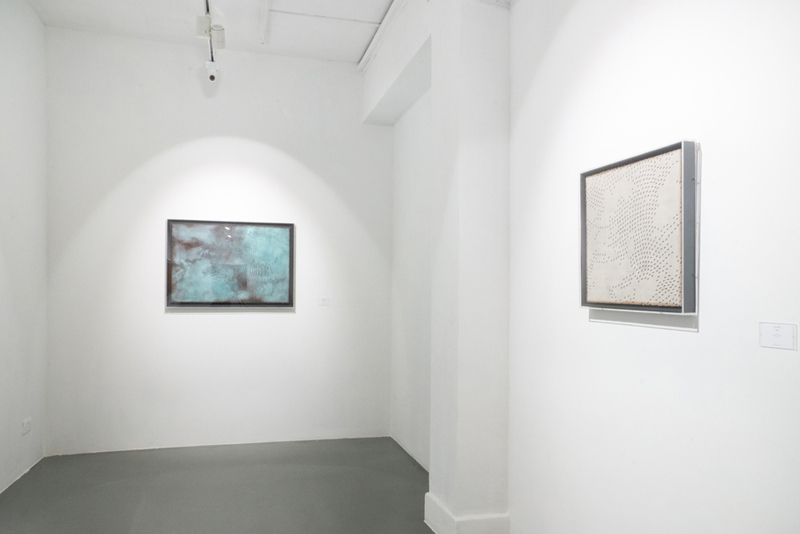 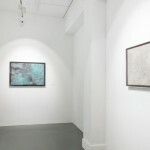 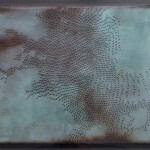 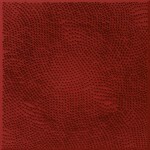 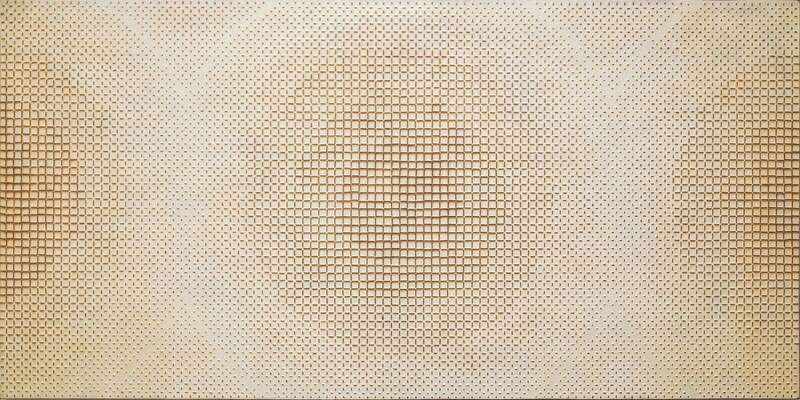 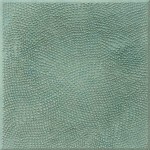 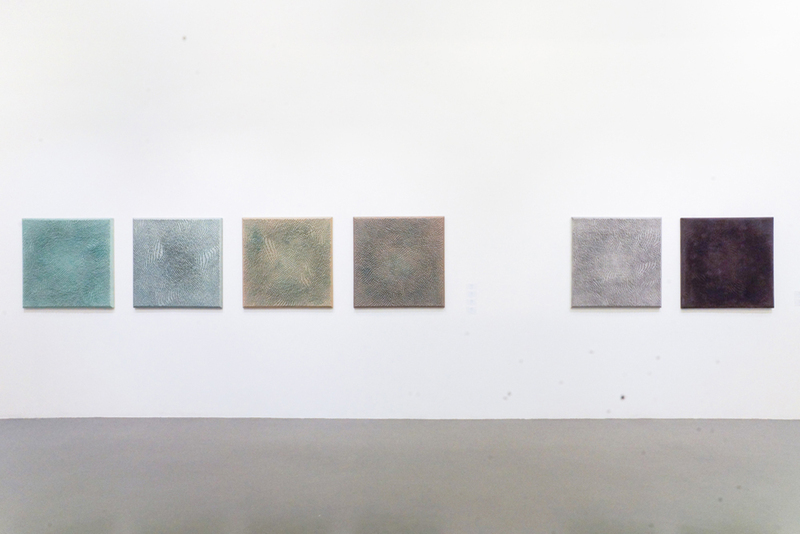 His exhibiting series, Line, lies within the boundaries between a painting and an object. 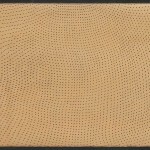 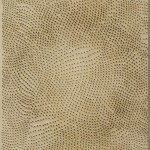 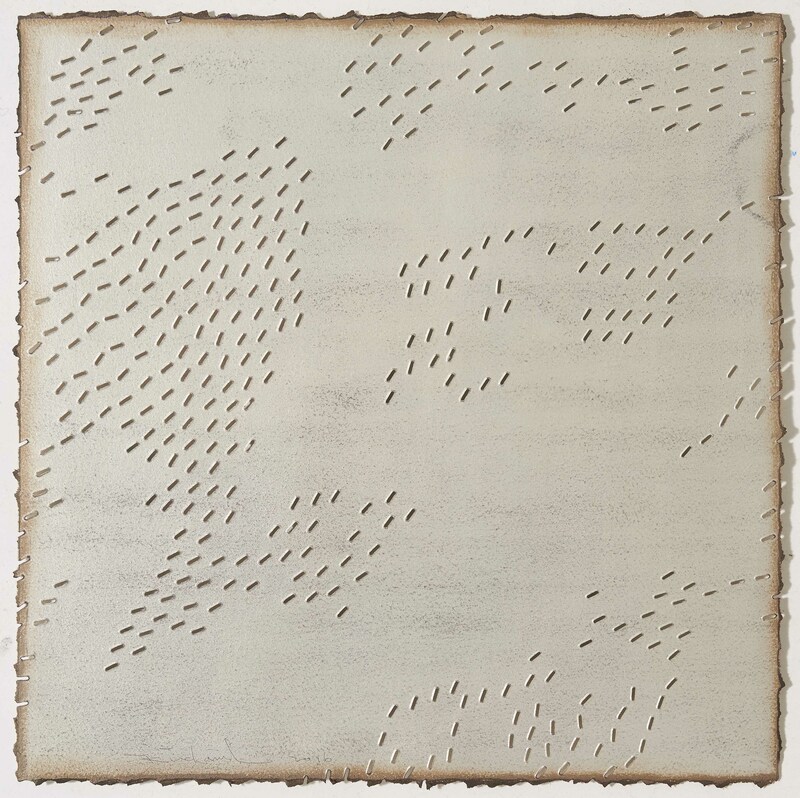 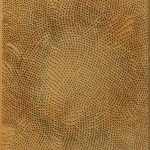 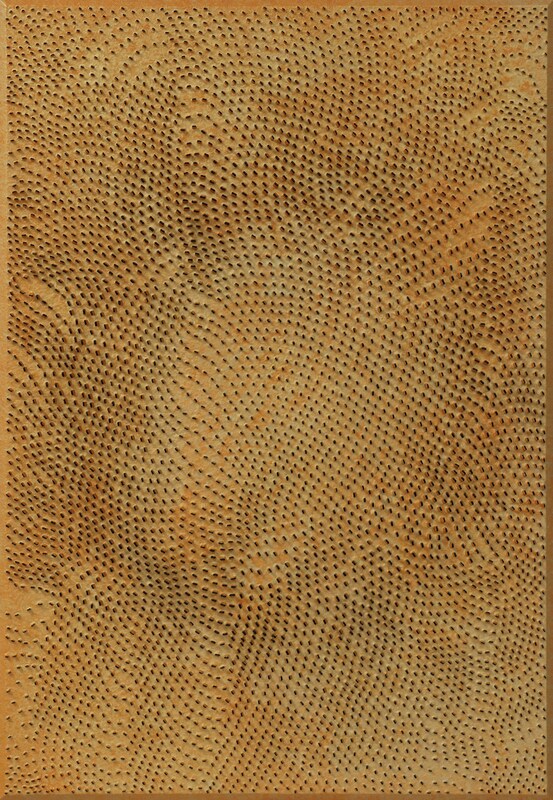 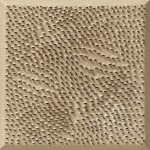 He first orderly arranges pieces of paperboard of various sizes that were soaked in ‘rubber’ onto the surface of the canvas creating a rhythmic flow of lines and contours. 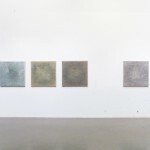 After solidifying them on the canvas, he proceeds to coat the canvas surface with oil paints or pigment powders, which he then meticulously scraps off to reveal a faded three-dimensional image. 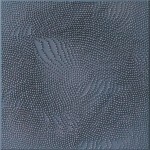 Kim treats some works with an additional layer of metallic glaze, to enhance the hypnotic lines running across the canvas. 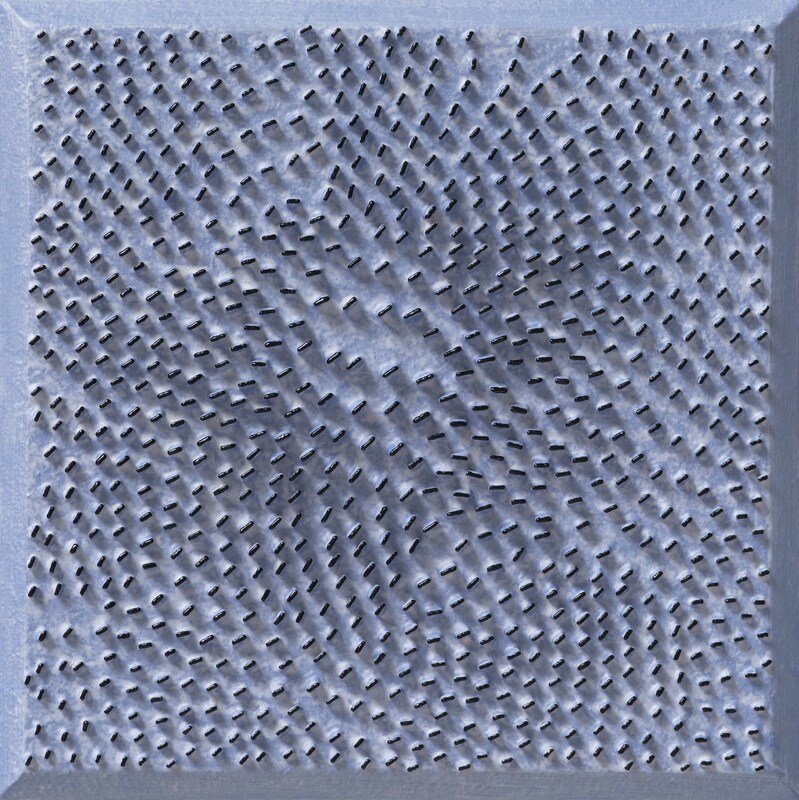 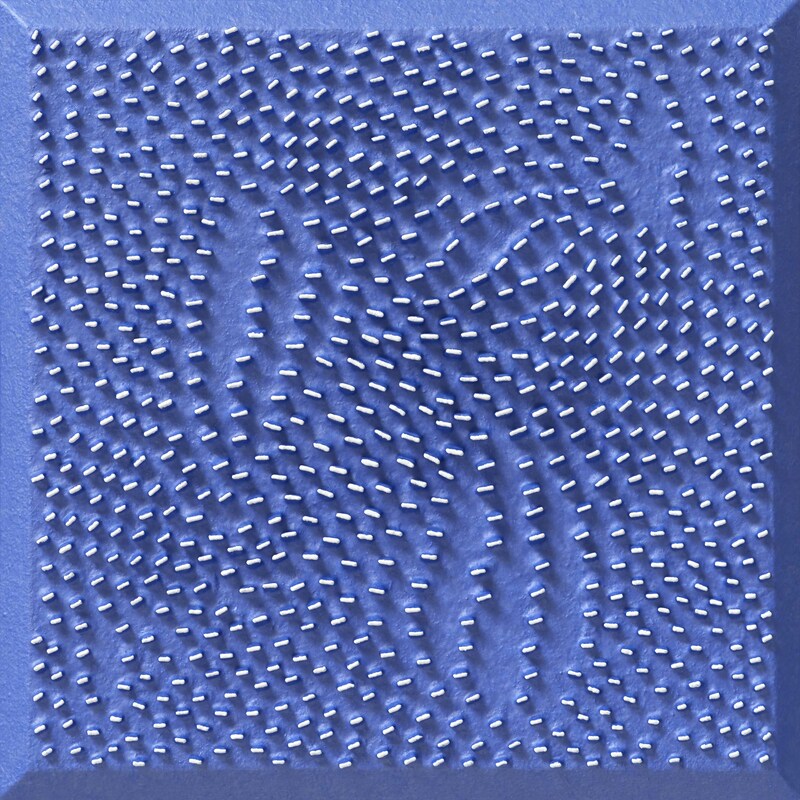 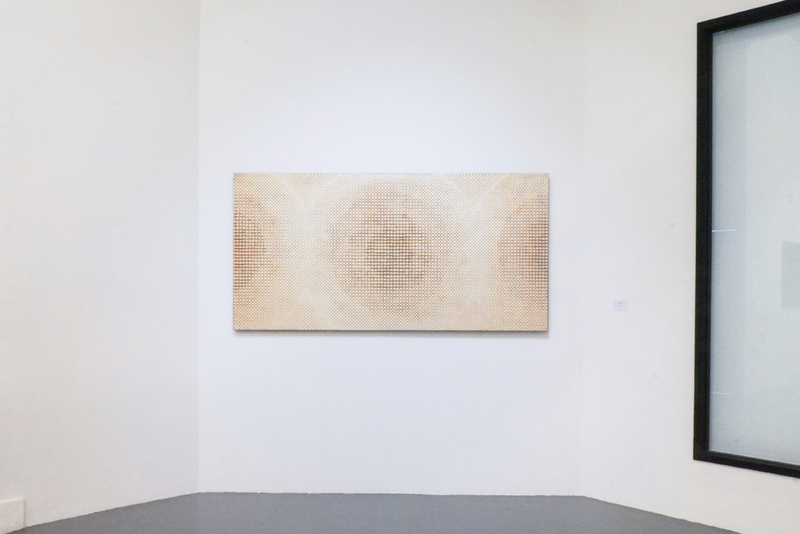 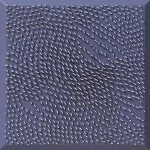 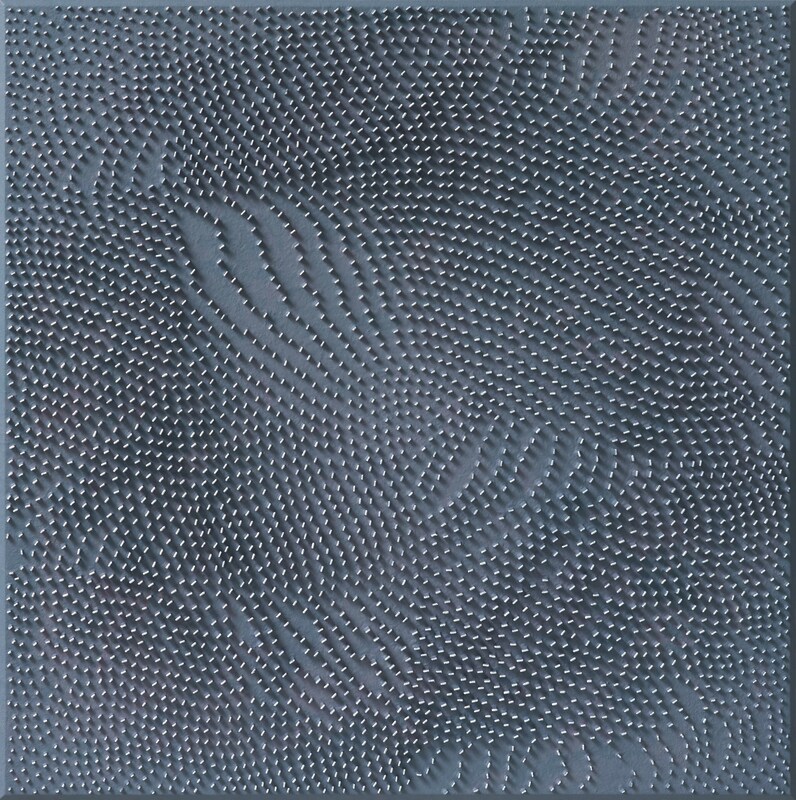 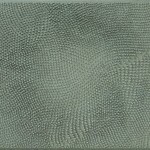 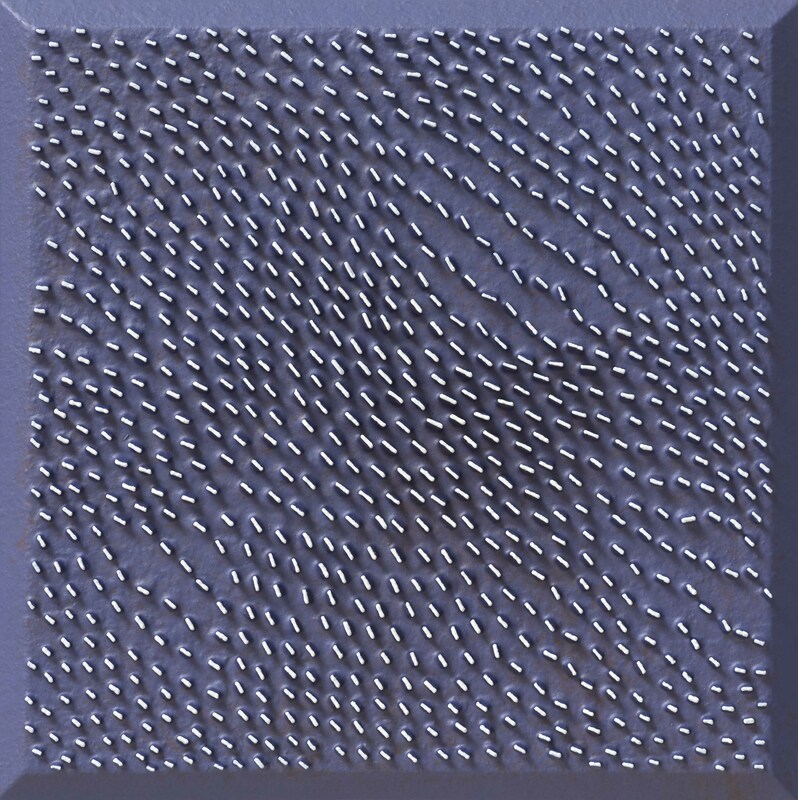 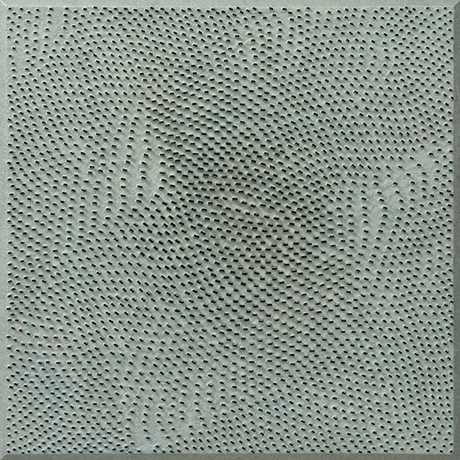 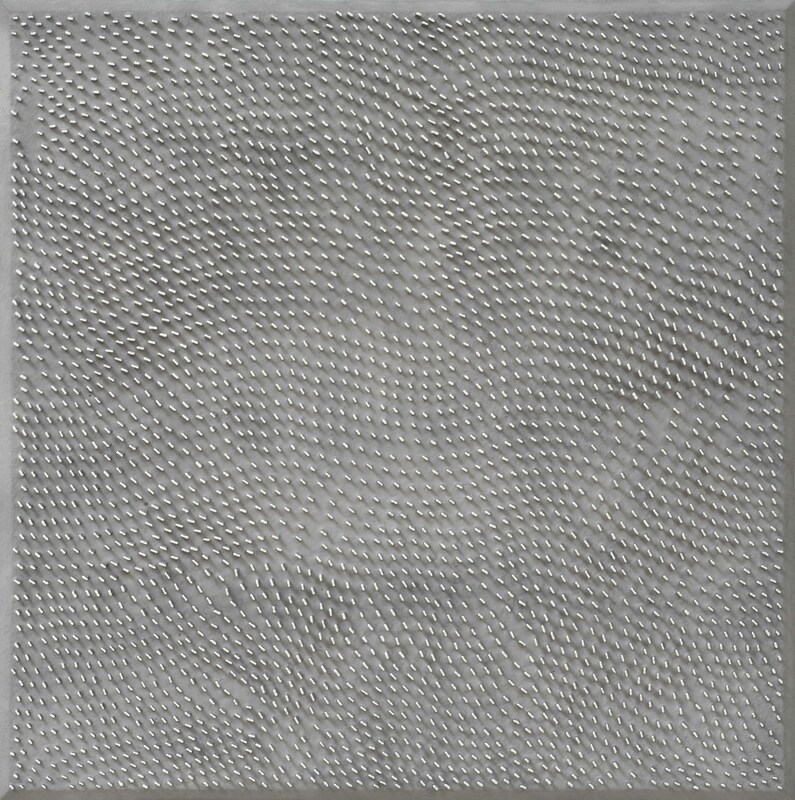 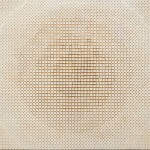 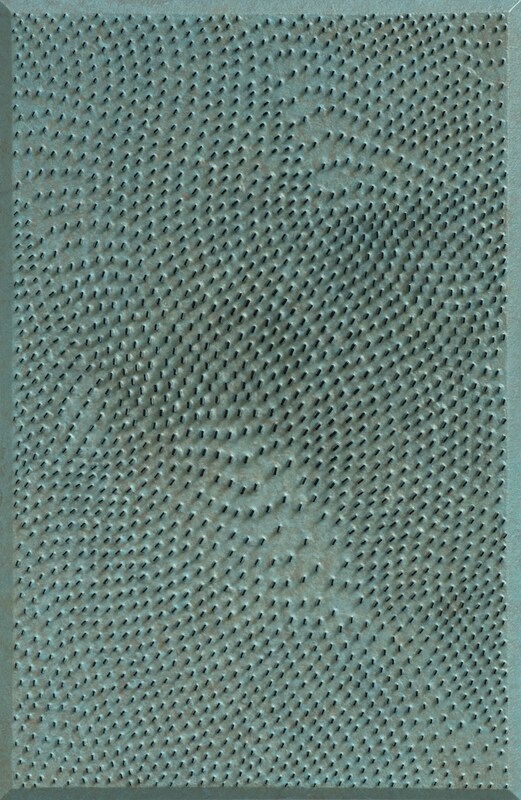 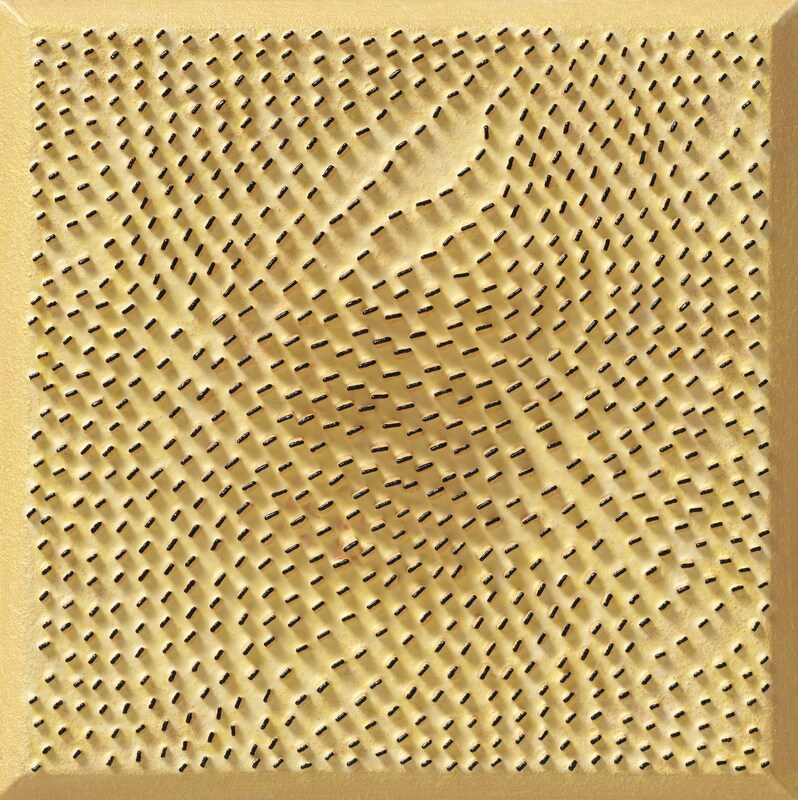 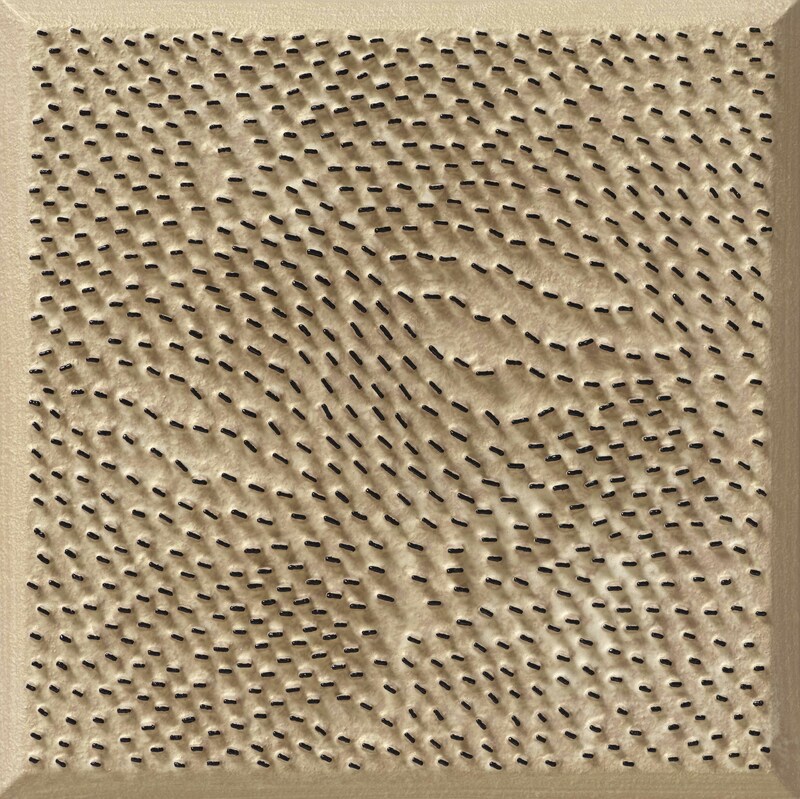 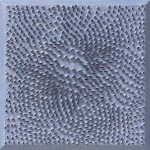 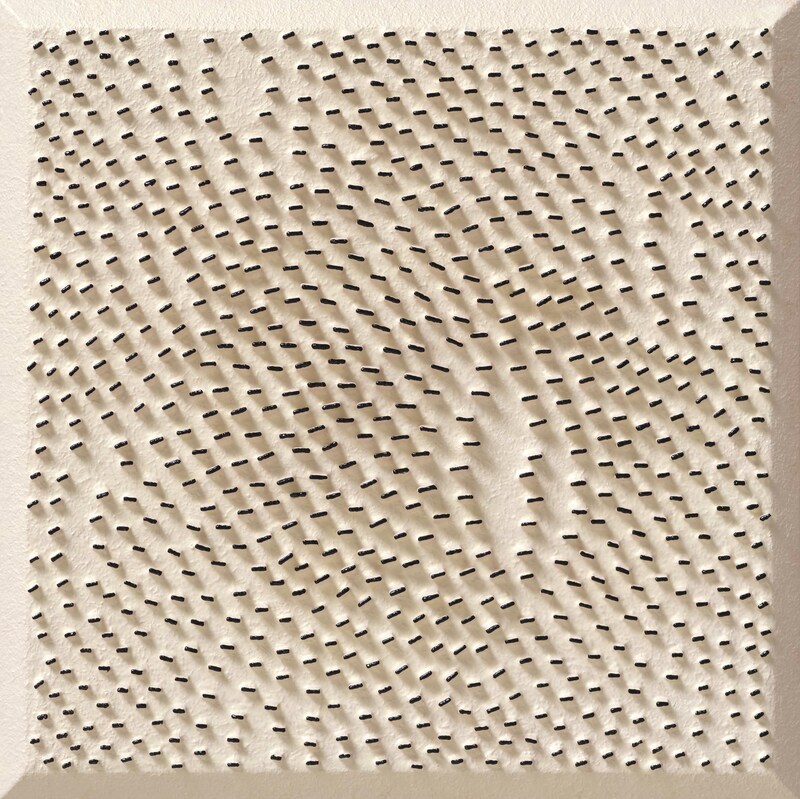 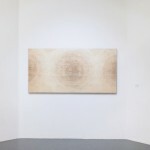 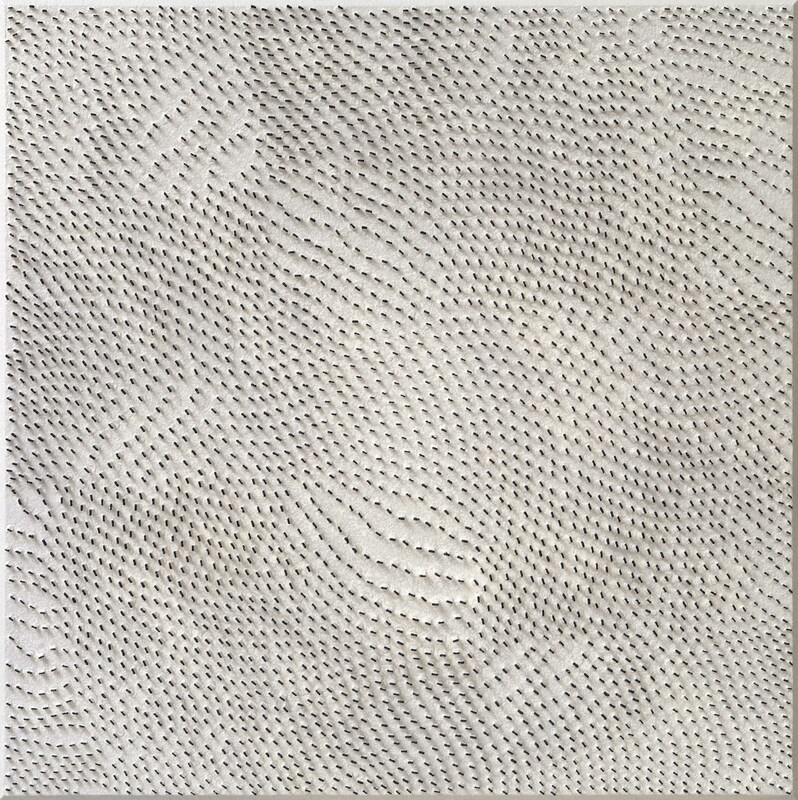 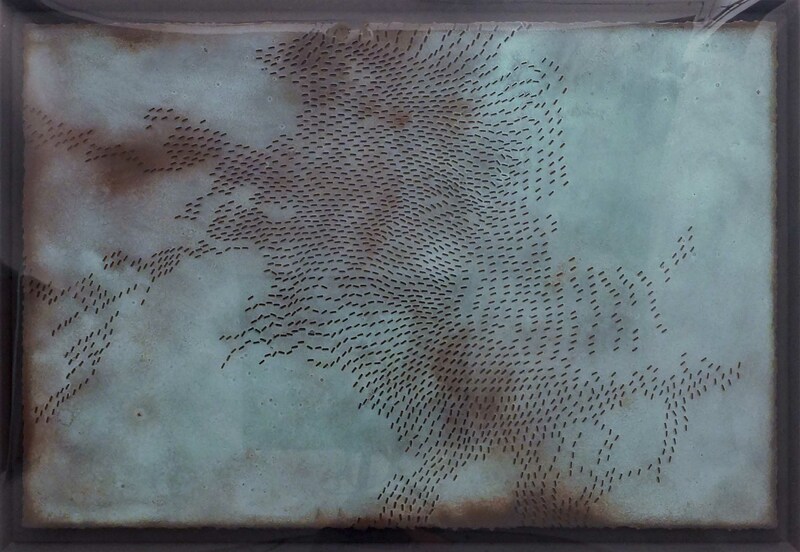 Through Kim’s systematic production onto a skin-like canvas, he creates an “interference” with the two-dimensional space, extending it to a third dimension. 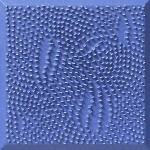 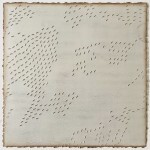 These elevations on the canvas crack through the picture plane, giving a certain volume to the otherwise flat surface. 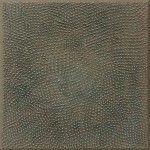 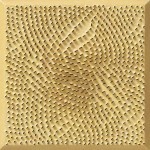 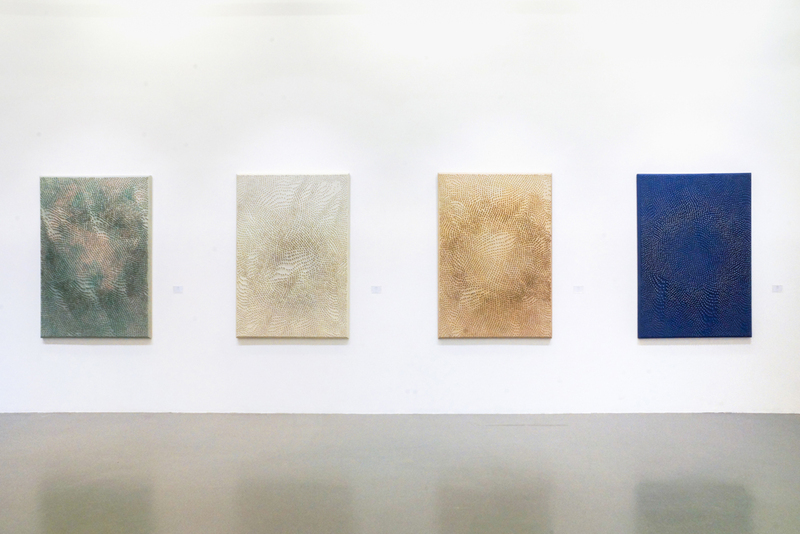 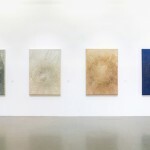 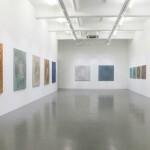 Kim’s paintings also showcase his unique use of colours, with most of them consisting of multiple thin overlapping layers of monochromatic colour schemes, with subtle traces of gold or silver. 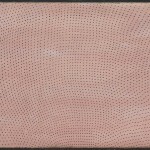 Due to this “interference of colour” underlining each work, their colours and tonality change according to the position and angle of the viewer. 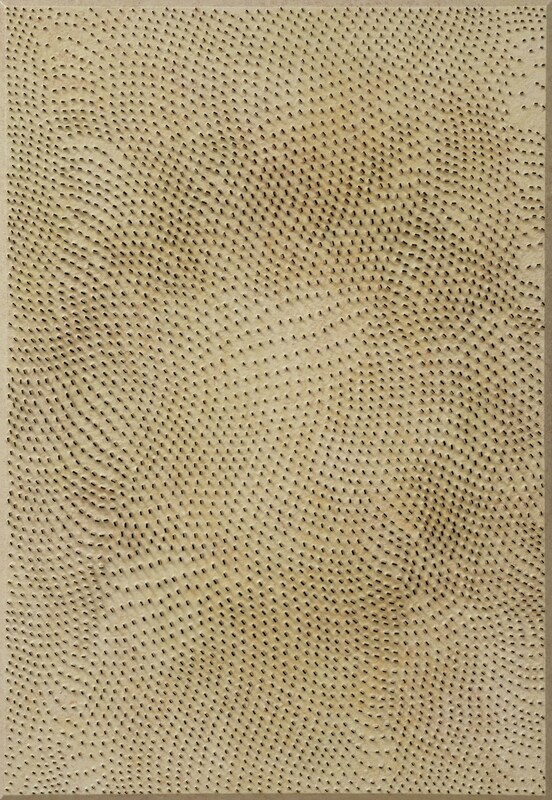 The many pieces of paperboard that protrude the physical space oscillate across multi-toned surface, stimulating the duality in perspective: light and dark, indentations and protrusions, concentration and dispersion. 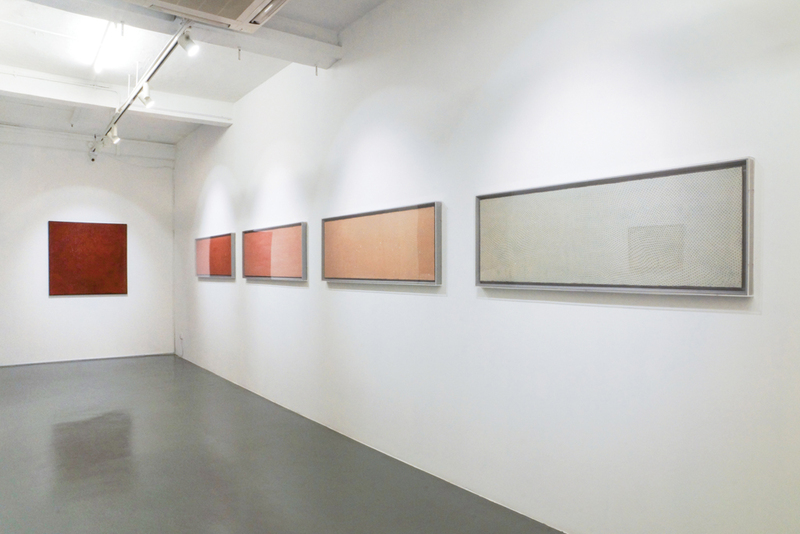 This exhibition will present Kim Chanil’s selected works from his Line series. 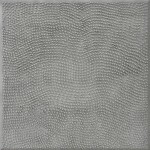 Kim Chanil (South Korea) attained a M.A. 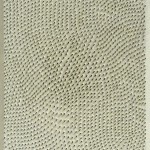 in Printmaking and a M.F.A. 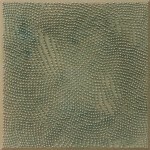 in Painting from the Graduate School of Fine Arts, State University of New York at New Paltz, New York, United States. 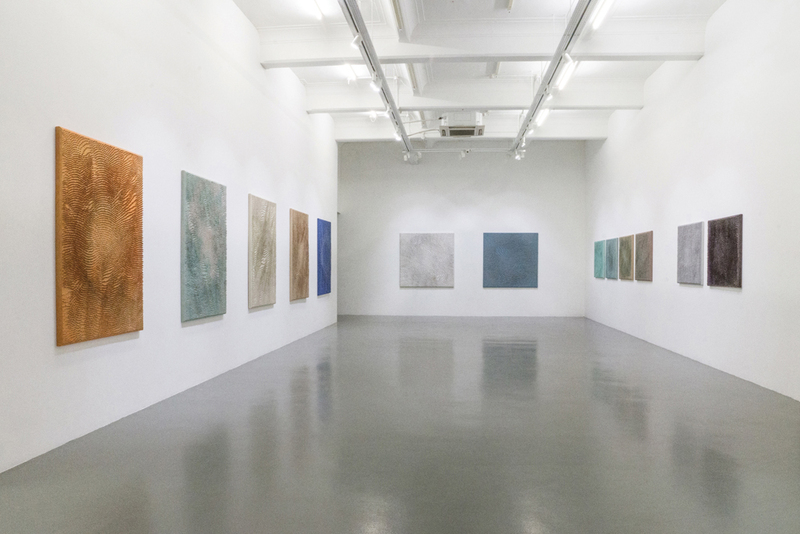 His major solo exhibitions include Batanggol Gallery, Seoul, South Korea (1988 and 1989), Line, Galerie Rho, Seoul, South Korea (2008), The Impression of Line, Gallery Huue, Singapore (2014) and most recently, Mano Gallery, Seoul, South Korea (2016). 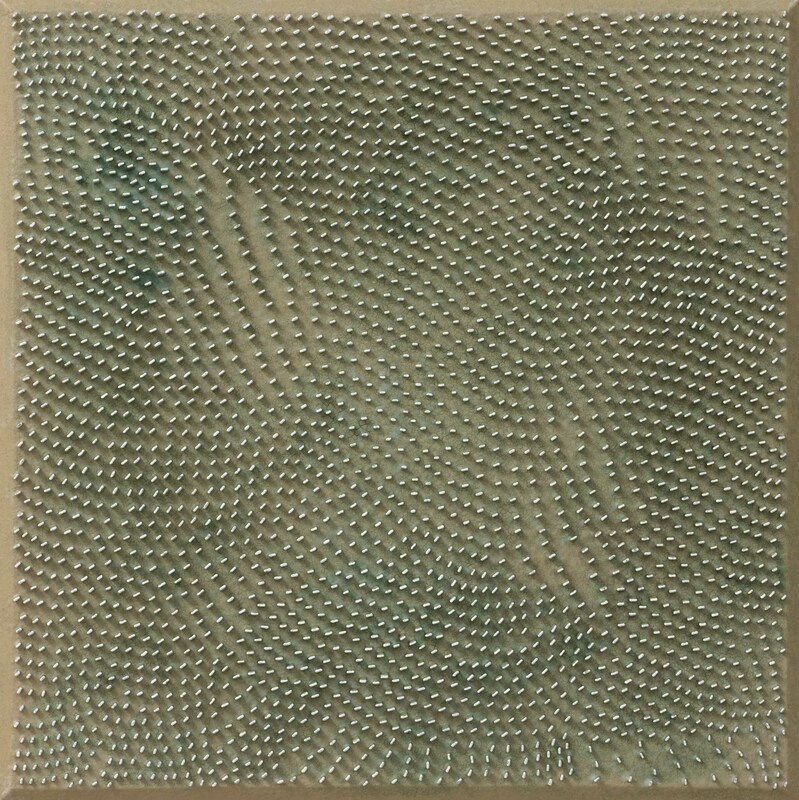 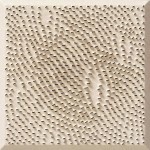 He has participated in numerous group exhibitions in South Korea and internationally, such as China, Egypt, Germany, Hong Kong, Spain, Singapore, Taiwan, and the Unites States. 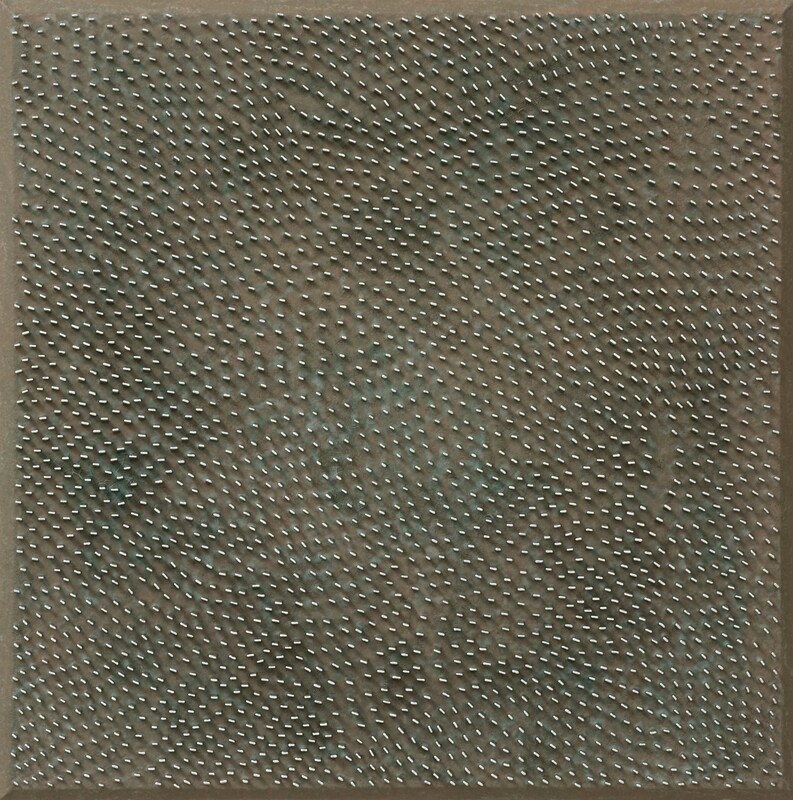 He has been awarded the Special Prize in the 8th Joongang Art Grand Exhibition (1985) and the Special Prize in the 6th – 8th Korean Grand Art Exhibition (1987 – 1989). 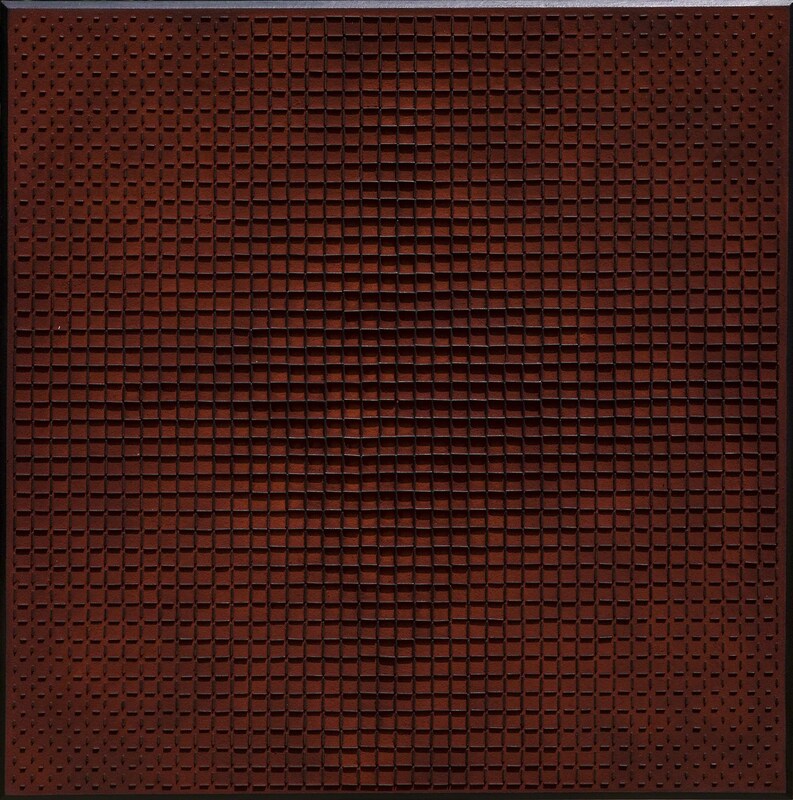 His works are in the collection of National Museum of Contemporary Art (South Korea), Seoul Museum of Art (Seoul, South Korea), Scott Square (Singapore), Daewoo Group, and Samsung Group amongst others. 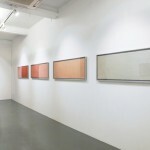 He is currently a Professor at the Department of Painting in Hongik University. 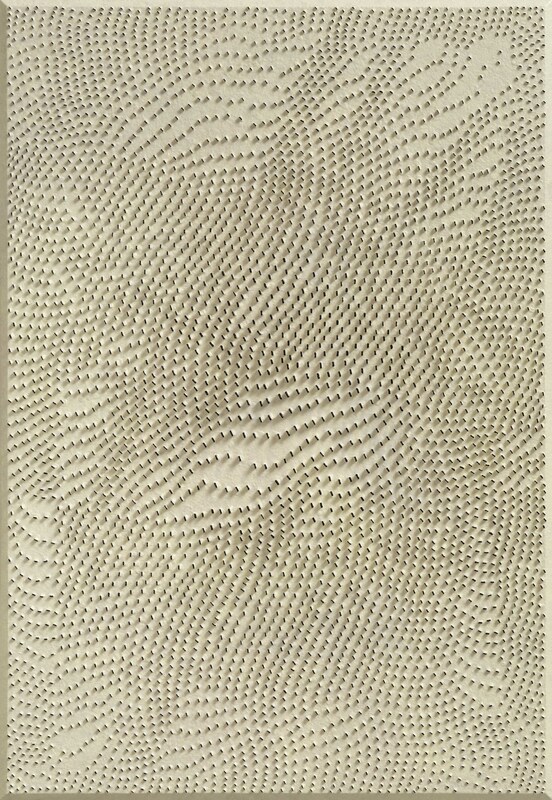 Kim Chanil lives and works in Seoul, South Korea.